After studies at the National Art School (1973) and the Victorian College of Arts (1974–76), Norrie established her name as a painter during the 1980s with exhibitions in key survey and curated shows such as Australian Visions: 1984 Exxon International Exhibition, Solomon R Guggenheim Museum, New York. In this series she presents her own interventionist history which comments on the colonialist and imperialist abuse of the the land. These concerns have been debated in Norrie's work from this time to her most recent video work. During the 1990s Norrie began to experiment with installations that mixed painting, sculpture and video. Norrie also focused on information technology and the complicity between global media and governments. Defile (2001) — exhibited at Future Cinema: The Cinematic Imaginary After Film (ZKM, Karlsruhe, November 2002–March 2003) — is in many ways typical of Norrie’s approach to the medium of video, mixing strong visual motifs framed and staged much like a still photograph with portentous thematic content. In the case of Defile, she examined the theme of environmental contamination, dysfunctional bureuacracies alluding to the Chernobyl disaster and nuclear fallout. Norrie’s six-screen installation Undertow (2002) — commissioned by the Melbourne Festival for the Australian Centre for Contemporary Art, Melbourne in 2002 — was a similar mix of arresting visuals that suggested impending global catastrophe in natural phenomena such as storms, dust clouds, thermal mud pools and human scientific experiments. Like much of Norrie’s work, Undertow invoked a sense of the uncanny, produced in part from the projection of these images at great scale. Passenger (2003), a 5-channel video installation, was commissioned by the MCA for her project exhibition, Notes from Underground. Norrie describes her practice as concerning “the balance between the technological and the natural sublime, the spiritual desolation of the digital age and contemporary ecological destruction”. in contrast to Undertow’s scale, Enola (2004) was staged as an installation akin to a small scale “children’s theatre” with a single-screen projection and kid-sized stools for the audience. The images of the video were shot in a theme park in Nikko, Japan, featuring scale models of iconic buildings such as Paris’ Notre Dame and the Eiffel Tower, St. Peter’s Basilica in Rome and the now destroyed Twin Towers in New York. Two hooded figures roam the park taking photos as the song “It’s a Small World After All” plays on the soundtrack. 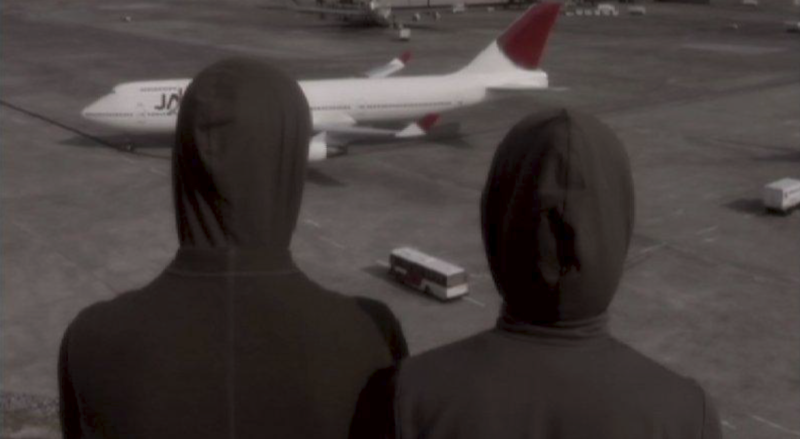 Black Wind a single channelled video was commissioned by the Amsterdam Sinfonietta, in 2005. The image of 'black mist' were the words used by indigenous people to describe the fallout from the atomic tests that the British conducted in the 1950s and 60s at Maralinga. The Aboriginal Tent Embassy was filmed as a site which continues to defend aboriginal sovereignty and human rights. In 2007 Norrie was one of three artists to represent Australia at the 52nd Venice Biennale. Commissioned by the Australia Council for the Arts, Norrie’s Havoc (2007) — a 16-channel video installation exhibited across three rooms of the Palazzo Giustinian Lolin — revisited a number of her previous themes of environmental and made-made disaster, this time set in East Java, Indonesia and the mud volcano Lusi that continues to destroy peoples lives and the environment in this region. In 2011 Norrie exhibited Transit at the Yokohama Triennale, a single-channel video, that combines Norrie's historical interest in experimental editing techniques, montage and political ecology. Transit continues her investigations in the Asia Pacific, the ‘Ring of Fire’ and the awe inspired by the immensity of nature and the technology designed to harness it.